Spice up your interior style with texture, pattern and interest at the flick of a switch! 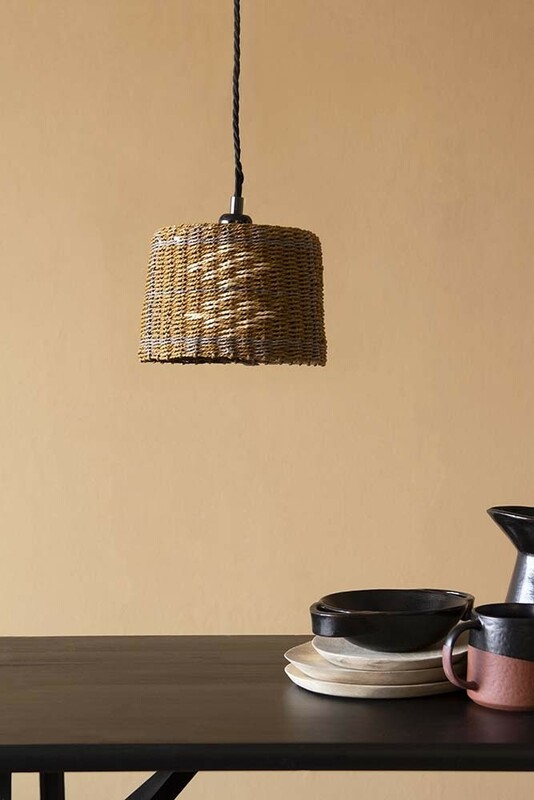 A beautiful paper rope and cord ceiling light the Black, Natural and Grey Rope Lampshade is perfect for those who prefer earthy or rustic interior styles. 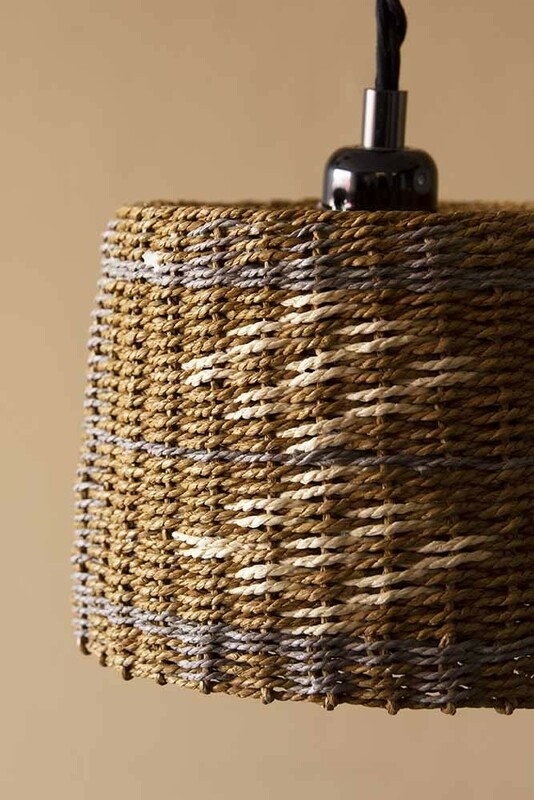 Available in two beautiful styles the Black, Natural & Grey Rope Lamp Shade measures 20cm in diameter x15cm in height and weighs 0.250kg. 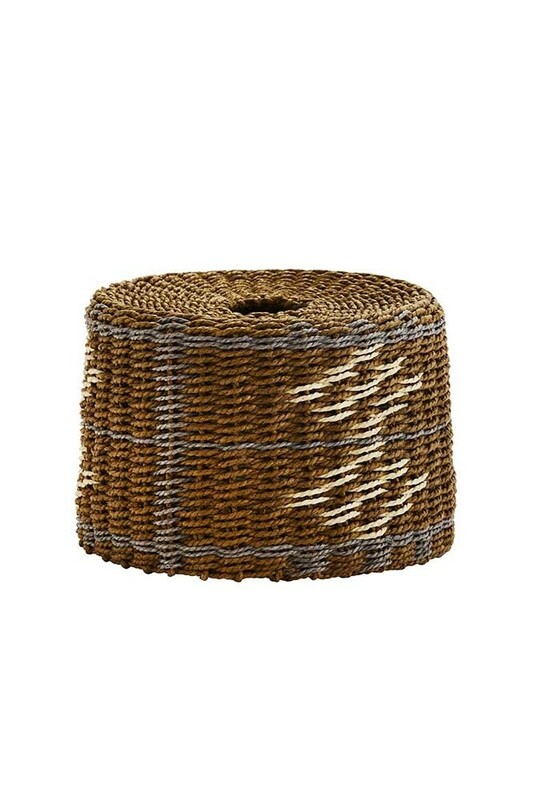 If you favour earthy, global or rustic interior styles or simply want to incorporate more natural and organic textures into your home then this lovely patterned rope shade is for you. Great for creating a calming and zen feeling in your home, incorporating more natural textures and earthy, natural tones like this shade will help you to relax and switch off as soon as you walk through the door. We also think that the refined yet stylish beauty of this stylish shade is versatile enough to suit a number of different interior styles including bohemian décor, rustic farmhouse décor, industrial interiors and global inspired interiors to name but a few. Sourced for Rockett St George by co-founders, Jane Rockett and Lucy St George, this beautiful ceiling light shade immediately caught their eyes, as the perfect lighting accessory for adding a softness to your home, looking particularly great when hung in a set of three over the kitchen island or dining table. Alternatively, we would recommend hanging two of these shades on a long flex either side of the bed as alternative reading lights or bedside table lamps. The beautiful rope texture will soften the rooms aesthetic which is particularly important for bedrooms where you need to relax and sleep.